The sharp increase in the boycott campaign activism is a direct result of Israeli pressure – joined by western governments – to thwart the boycott movement. Even financial institutions, such as the Bank of Ireland, have joined in on these efforts, shutting solidarity groups’ accounts and simply trying to raise the price tag for those who dare to stand in solidarity with the Palestinian people. However, it seems that the harder Israel tries to impede BDS, the greater the attention and sympathy the BDS movement garners. In some way, Israel’s frantic reaction has helped BDS spread its influence and expand the parameters of debate on the conflict in Palestine. In such scenarios, it is most likely that civil societies, not government intimidation, will eventually prevail – as previous experiences, the anti-Apartheid South Africa movement notwithstanding, have shown. 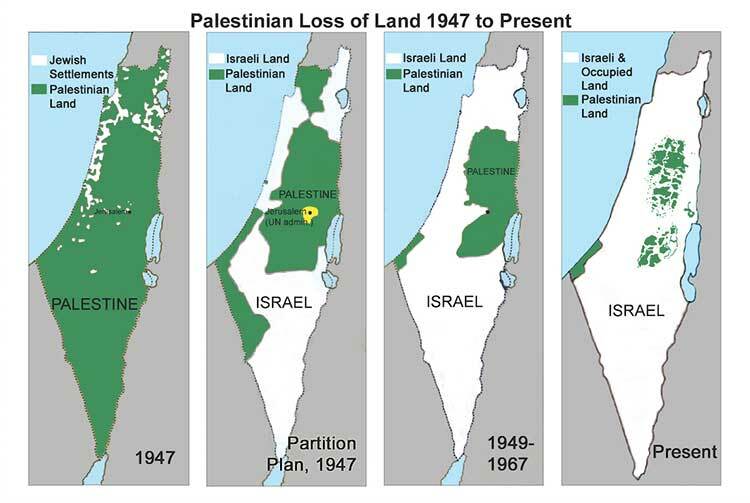 Palestine was partitioned, unjustly, on November 29, 1947. There was no moral or legal basis for that partition, as communicated in UN resolution 181 (II) into a ‘Jewish State’ and an ‘Arab State’. Jewish immigrants were granted 55 percent of the total size of historic Palestine and the ‘Arab State’, which never actualized, was accorded the rest. Jerusalem was to be given a special legal and political status, known in Latin as ‘corpus separatum’, and was to be governed through an international regime. One cannot deny the role of the numerous friendly nations, mostly from the South, that stood by Palestine’s side at every turn and, at times, faced the wrath of the US and Western governments for their unfaltering solidarity. However, the nature and the timing of these resolutions were seen as mere tokens, a symbolic gestures at best, to show solidarity in words only and not action. Unfortunately, since the original partition resolution passed in 1947, and to this today, the Palestinian cause has been feeding on symbolism – symbolic solidarity, symbolic victories and so on. Any solidarity that deviates from the current aspirations of Palestinians – as articulated by their fighting women and men, by their prisoners on hunger strikes, by their students fighting for the right to education, by these resilient, but often neglected voices – is not true solidarity.